Pre-Natal massage specifically caters to the needs of an expecting mother’s transforming body. It is suitable for mothers in the second trimester of their pregnancy, between week 20 to week 36. As the mother’s body undergoes extraordinary changes, she experiences hormonal fluctuations and a gradual shift in her centre of gravity. While her posture adjusts to accommodate the weight shift, it often results in strain and prolonged tension especially in her back, shoulders, neck, and abdomen. The Outcall Spa Signature Pre-Natal Massage session leverages on therapeutic techniques to give relief and make the mother’s journey more comfortable during this transition. In easing the tensions in tired muscles, the massage also provides a relaxing and calming touch to the mother, from head to feet. The massage can only be conducted by a specially trained professional therapist. 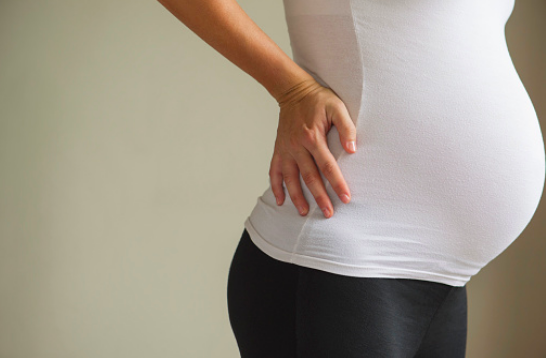 The therapist does NOT massage the abdomen and womb area and will avoid specific points of the body that are directly connected to the fetus. The masseuse will work with the mother throughout the stages of her pregnancy, adjusting the techniques to best meet her needs at each stage. The Pre-Natal massage commences with the mother lying in her most comfortable position on the massage bed – on her side or face down using a special bed with a hollow for the baby bump and mother’s breasts. These positions are important, as lying on the back may result in poor blood circulation in the legs due to the uterus pressing down on the veins. If lying sideways, the mother can hug a bolster as a soft support, and will switch sides midway during the 90 minutes session. The Outcall Spa only hires highly trained therapists to conduct the Pre-natal session. Using soothing strokes from the Swedish massage method, the therapist pays gentle attention to points where the mother feels particular discomfort or cannot easily reach herself. The masseuse will not apply strong pressure at any time, being especially careful at areas that are connecting to the umbilical cord and the fetus. While a majority of the session is spent working on the neck, shoulders, and back, the masseuse will also devote some time to softly massaging the arms, hands, legs, and feet. The session finishes with a relaxing head massage, excellent for calming the mind and relieving any headaches. Hormone Regulation. The Therapist’s gentle massage helps to lower the mother’s stress hormones of Cortisol and norepinephrine, while stabilizing the levels of hormones associated with depression. This reduces risk of anxiety and pre-natal depression. Improved Blood Circulation.The massage increases blood flow to the extremities of the mother’s body, helping to flush out lactic acid, enhance the circulatory and lymphatic systems, and reduce water retention and swelling. Better Sleep.By eliminating the factors which can disrupt a mother’s rest – muscle ache, fluctuating hormones, poor blood circulation, stress, the Pre-natal massage improves the mother’s ability to sleep. Furthermore, The Outcall Spa’s service is delivered right in the comfort of the mother’s home, so that the exhausted mother can simply relax after a long tiring day of work. Emotional Support. The human touch provided during the massage has proven to be nurturing for mental and emotional health, two essential elements for a healthy expecting mother. Pampering the Mother. The new mother is usually so busy preparing for the baby that she forgets to pamper herself. The Outcall Spa Signature Pre-Natal Massage addresses this issue by an expert therapist giving loving attention to parts of her body which the mother may not even realize she has been straining. In addition to providing a skilled therapist who understands exactly what her changing body needs on the massage bed before she even mentions them, The Outcall Spa’s premium service brings the special Pre-Natal massage bed to the tired mother. This is especially relevant when the mother reaches her trimester, where movements are increasingly limited and laborious. In all ways, the Outcall Spa Signature Pre-Natal Massage will prove itself as one of the best choices an expecting mother can make for herself and her baby.